Strauss & Co will be holding an auction of Important British, Continental and South African Paintings and Sculpture on Monday 1 November at Country Club Johannesburg, Woodmead. 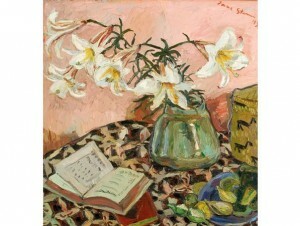 On view Friday 29 October, Saturday 30 October and Sunday 31 October from 10:00am to 5:00pm. 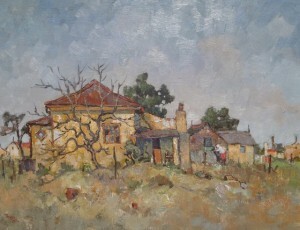 Russell Kaplan Auctioneers will be holding an art auction on Saturday 30 October 2010. 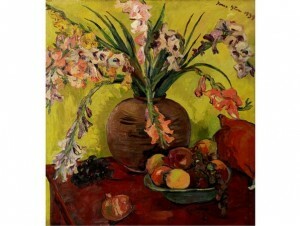 Bernardi Auctioneers will be holding an art auction on Monday 25 October 2010. The first art session will start at 15h00, this will be followed by the second session starting at 17h30. 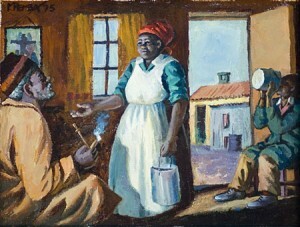 The auction will include works by Walter Battiss, George Pemba, Jacob Hendrik Pierneef, Gregoire Boonzaier, Diane Victor, Frans Martin Claerhout & Adriaan Hendrik Boshoff amoungst others. Strauss & Co will be holding an auction of Important Paintings and Sculpture on Monday 11 October at the Vineyard Hotel in Newlands, Cape Town. The work will be on view Friday 8 October from 2:30pm to 4:30pm, Saturday 9 October 9:00am to 5:00pm and Sunday 10 October 9:00am to 5:00pm.